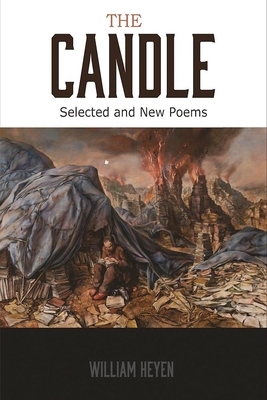 The Candle is a record, unlike any other in literature, of an American poet's staring into the central atrocities of our Twentieth Century, of his struggle against soul-sickness as he attempts, over almost fifty years, by way of despised and barbaric poetry (in Theodor Adorno's terms), to find ways to realize (make real), to understand, and to remember. William Heyen is a former Senior Fulbright Lecturer in American literature in Germany. Crazy Horse in Stillness won the Small Press Book Award, Shoah Train was a National Book Award finalist, and A Poetics of Hiroshima was a selection of the Chautauqua Literary and Scientific Circle. William Heyen: William Heyen was born in Brooklyn, NY. A former Senior Fulbright Lecturer in American literature in Germany, he has won NEA, Guggenheim, the American Academy & Institute of Arts & Letters, and other awards. His graduate degrees are from Ohio University, and SUNY recently awarded him an Honorary Doctorate of Humane Letters. He edited September 11, 2001: American Writers Respond (Etruscan Press). His work has appeared in hundreds of magazines and anthologies. His Crazy Horse in Stillness won the Small Press Book Award, Shoah Train was a finalist for the National Book Award, and A Poetics of Hiroshima was a selection of the Chautauqua Literary and Scientific Circle. He is Professor of English/Poet in Residence Emeritus at the College Brockport.